I was at yet another house last week with a built in microwave. In contrast I have never owned one. 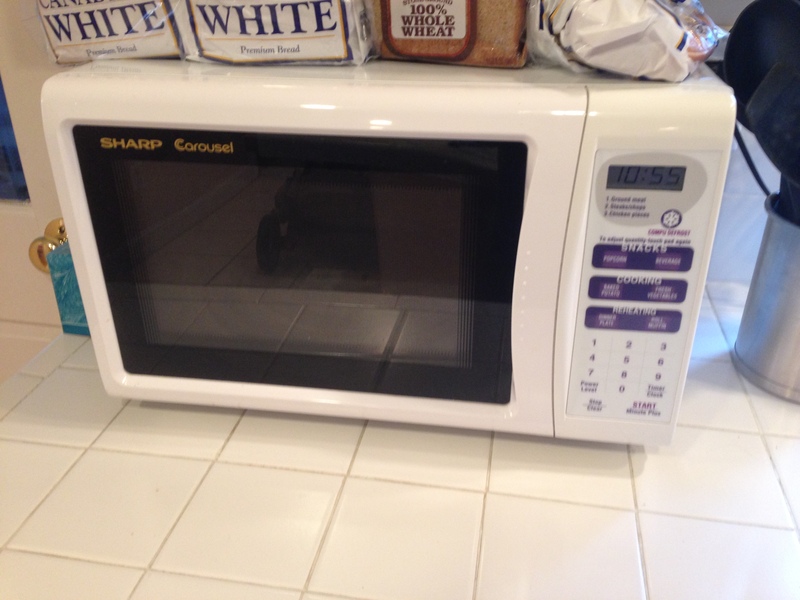 In fact here’s the microwave we bought for our first apartment many years back. Through multiple moves and multiple states, we’ve never had reason to get rid of it. It’s not the most powerful (definitely do not try cooking a TV dinner), but it reheats, thaws, and boils just fine which is really all I need for a microwave to do. I got to thinking about this because the day before the above mentioned visit my little guy did this to our kitchen counter. 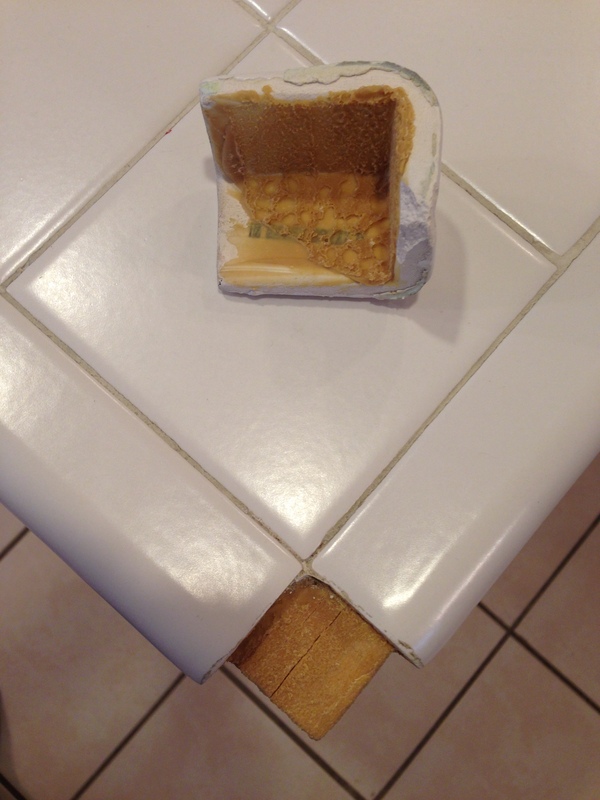 Now, I’m not a fan of tile countertops; I would never install one. But, this came with the house so now we’ll have to try to find the right glue to fix it. I suppose if we were to ever redo a kitchen we’d probably have solid counters and a built-in microwave.